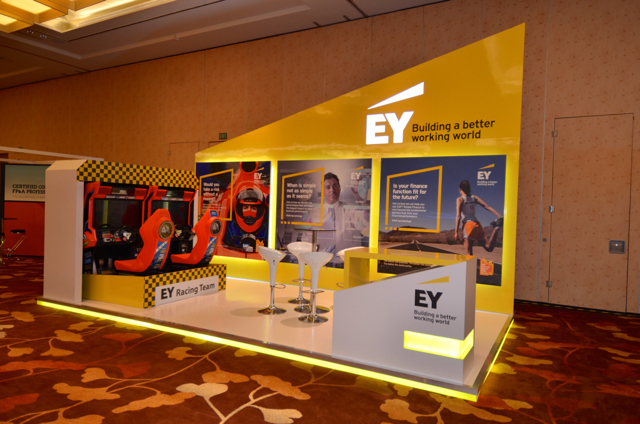 We designed and build the new exhibition presence of EY in Singapore, one of the leading Business Consultancies worldwide. 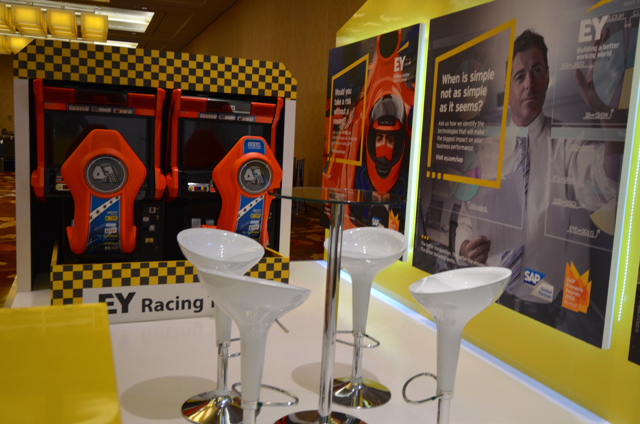 The clear order: To bring out the branding and corporate colors in a powerful and engaging way. 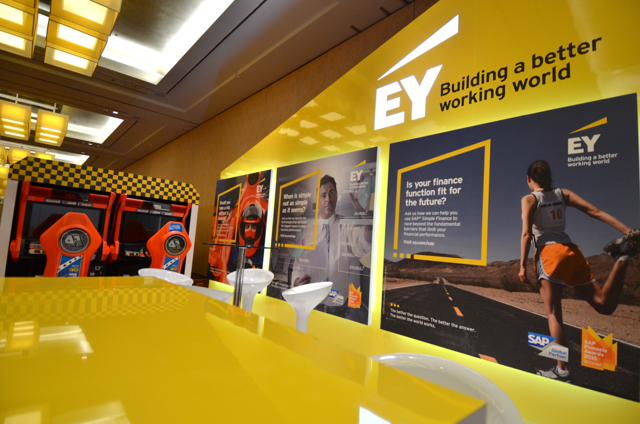 The goal was to make EY strongly stand out amongst competitors at this show. 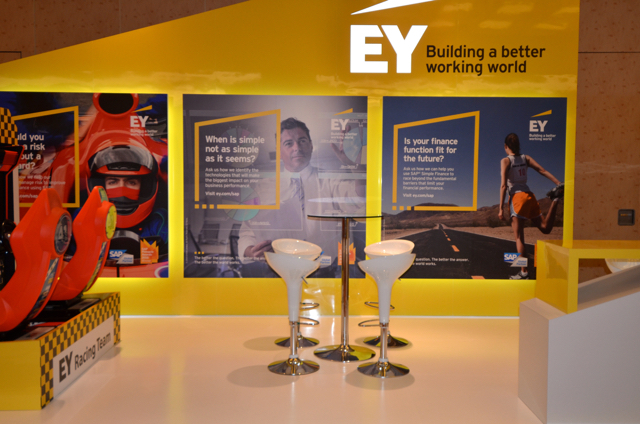 We leveraged on the striking yellow color of EY and created an entirely yellow laminated back wall in shape of the EY´s logo icon, additionally we implemented a backlit logo at the top. 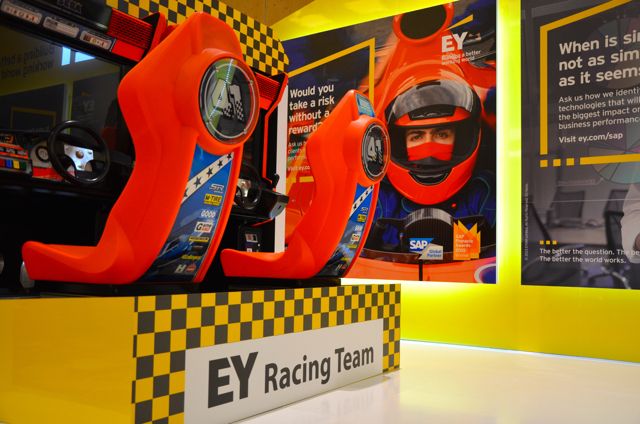 The 3 main marketing messages where displayed with LED lights surrounding and framing the graphics from the back in order to make them stand out three-dimensionally. The illuminated platform flooring with white lamination gives the impression of an exclusive area and lifts up the limited space. 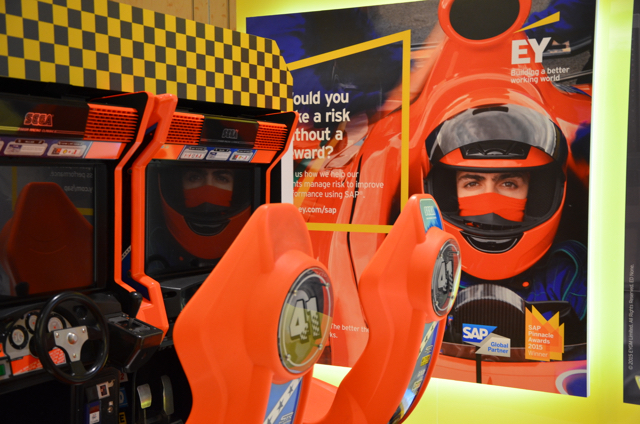 The fun arcade simulation game brings in the strongly engaging part, we implemented the game into the booth landscape by designing a box with EY Racing Team branding to give the impression of being part of a racing team, while racing against other visitors of the show. 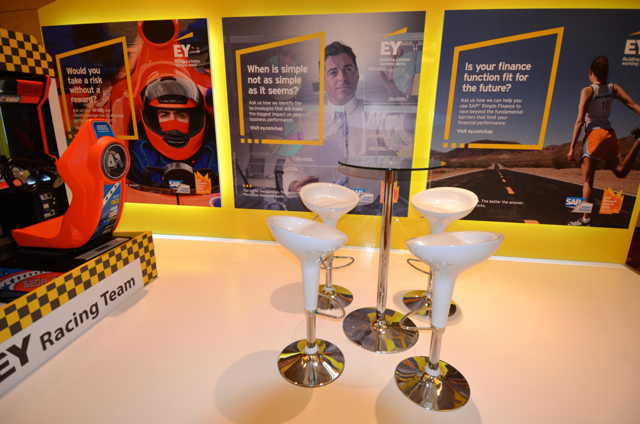 The concept strongly build on EY´s corporate colors draw a lot of attention to the booth and ensured visitors constantly approaching the EY staff during the day.